AllRefer.com > Pictures & Images > A deep-sea skate glides through a cloud of diffused "smoke", i.e., mineral laden waters from hydrothermal vents. A deep-sea skate glides through a cloud of diffused "smoke", i.e., mineral laden waters from hydrothermal vents. 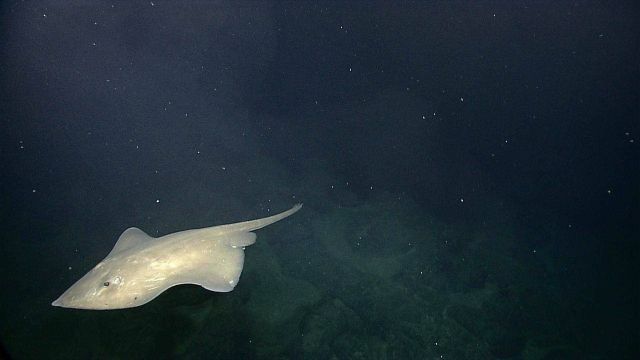 A deep-sea skate glides through a cloud of diffused “smoke”, i.e., mineral laden waters from hydrothermal vents.